When Malaysia Airlines Flight 17 went down on July 17, 2014, we were immediately inundated with base propaganda trying to convince us that the shootdown could be traced back to the Kremlin. But what was this rush to judgement based on? What have we learned about the crash since then? Why has MH17 completely disappeared from the news cycle? And who really stood to benefit from the disaster? 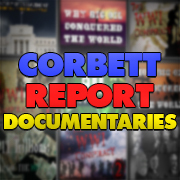 Find out the answers to these questions and more in this week’s edition of The Corbett Report. OSCE Monitors Identify “Shrapnel and Machine Gun-Like Holes” indicating Shelling. No Evidence of a Missile Attack. Why Are All The Passports Shown at the MH17 Crash Site in Pristine Condition? Excellent presentation. Thanks both to James and those of you who contributed to putting this information together. 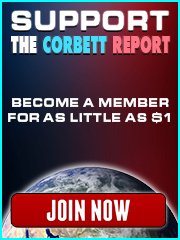 I appreciate and share the enthusiasm James expressed at the end about what opening up this space for us, as members of this Corbett Report community, has already done to provide us with a platform to brainstorm, think critically, and fight back against the endless propaganda which invariably seeks to push us all collectively in the wrong direction. On that note, despite the scope of alarming incidents of concern in domestic (US) and geopolitical matters, I’ve had some positive experiences lately in illuminating the fallacies in the MSM propaganda narrative in various conversations with family and friends. This differs drastically from the years of frustration I had to endure coming up against the brick walls constructed to block out 9/11 truth. Even in the disturbing layers of what we see taking place in Furgeson, I see a conversation about the militarization and lack of accountability on the part of our police forces, which has been pushed to the forefront of discourse in a way which seems to have penetrated some of the barriers and indifference I’ve observed and encountered in my own efforts to address this issue for years. I believe the proliferation of alternative media resources, such as this site, has provided those of us who see beyond the State Department Twitter MSM parrot feed press releases (still my favorite out of this batch 😉 , to combat the information war in real time in a way which is actually starting to make a difference. Despite my pessimism about the collective consciousness of ‘the masses’, I do believe in the greater good of the human spirit. The worst elements of society tend to monopolize on the power of information to push society towards false choices and negative impulses through the central mechanisms of social control and governance. However, just as the proliferation of information technology has enabled the predatory ruling class to exert a more sophisticated level of control over the masses, this same proliferation diversifies and multiplies the number of individuals who have access to the tools to challenge this faulty logic and moral void of imperialism and materialism by presenting practical methods to oppose this ideology and foster the elements of humankind which make life worthwhile. Usually, I’m more apt to pepper my critique of matters in this arena by throwing in sarcastic comments in attempt to laugh off and diffuse some of the insanity. So, to be perfectly honest, what I just wrote comes off as a bit of a surprise to me, personally. Still, like James continues to point out in ways I find refreshing, there are ways which we can fight back and already are by actively taking part in this discussion. Being able to observe and take some satisfaction away from progress in whatever increment it arrives is worth taking a moment from time to time to appreciate. Thanks for sharing those thoughts, BennyB. I’m glad to see that this open source effort really is having an effect, and that we are making a difference. There are realistic reasons to be optimistic, after all (which isn’t to say this isn’t an uphill struggle). Onwards and upwards. Just returned from a few days at sea in BC…I caught the podcast in Snug Cove on Bowen Island on WiFi. I believe this compilation of evidence–and theories based on same–will stand the test of time as probably the best summary of what we know so far. The MH17 false flag differs from those that have gone before in one material way…Russia is involved. In all the other events, there was nothing, and no one, who could offset the official (US) version of events (other than us…the “truthers”–who try our best with meagre resources). In this case, we have a power that in terms of the technologies of getting to the truth (satellite data and military intelligence) can provide information with the same gravitas as the US. And they are motivated by self interest to do so. Whether Russia will insist that the August 8 agreement by Netherlands, Malaysia, Ukraine and UK to deep six the findings by “mutual agreement” be offset by a complete report on investigative findings on the MH17 shoot-down, remains to be seen. I would say that our podcast proves one finding already. The international institutions currently in place to safeguard the flying public have been proven insufficient to prevent criminal sabotage and mass murder. Russia again demands that the black box information and ATC communications data be made public. This is getting little or no press in the M$M. And the M$M is coincidentally ramping up the tension on Ukraine. The passengers on Mh17 were clearly valueless pawns in the high stakes poker being played by the PTB. from what i read so far i believe that putin has irrefutable proof of kiev/us killing 298 people on board mh17. he has offered the us to keep this proof for himself in exchange for them ending their ukraine war. they seem to have agreed to his offer. politics in general these days seem very much based on blackmailing politicians, preferably with their moral missteps. this is the ultimate motivation behind mass surveillance, as well as the continuation of an anachronistic moral system. but of course any unwanted information will do, whether from public networks or from satellite pictures. understandably, us wants guarantees the truth will not surface after their withdrawal. so first a non-disclosure agreement is forged between relevant countries, and putin himself promises never to disclose his irrefutable proof of us complicity in this mass murder. after this coverup has been arranged putin goes ahead, all with us consent, be it with some gnashing of certain teeth, but without msm coverage. he gets his peace, but no credit for it. of course, the fascist factions fighting with the army have their own agenda and will not easily give in to a cease fire order from poroshenko. so we may even see squirmishes between blackwater mercenaries and fascists. 1. apparently those in power are very concerned about public opinion. in other words: our thinking is a threat to them, which confirms our own potential power and must encourage us to continue looking for truth and making this truth public. 2. remarkably enough, after all they said about him, they trust putin to keep his promises. 3. this cover-up proves putin is just the opposite of a war lusting idiot as they love to present him. they try to make war with mh17 as a pretext. he on the other hand uses their own mh17 to manipulate them into peace, clever. 4. it also proves that they know very well russia is after peace, not war. here history repeats itself when you compare this with the defection of lt.victor belenko in 1976. his mig25 ran on vacuum technology instead of transistors. the ussr knew about emp and the us did not, but they never used their technological advantage. nevertheless, the us stuck to their cold war policy. 5. putin is baking the us in their own fat again, as he did with the syrian gas attack last year. it seems those rotschilds and associates badly need some more intelligence in their puppets, perhaps even in themselves. well, that would solve the whole problem, as war is a typical symptom of stupidity. of course, the dutch government is 100% complicit. they decided to follow their us ‘friends’ and the result must have terrified them. now they put all their official energy in expressing sympathy for the victims, not a word about the cause of the crash but just a lot of vague accusations towards russia. i think it very strange there does not seem to be any protest against this whole setup in the netherlands. every home must have a broadband internet connection there. so what do they use it for? The release of information today by the Dutch government must be considered in light of the “Non-disclosure Agreement” among the Ukraine, Netherlands, Australia and Belgium that the causes of the MH17 Crash are “Classified”. http://www.globalresearch.ca/the-causes-of-the-mh17-crash-are-classified-ukraine-netherlands-australia-belgium-signed-a-non-disclosure-agreement/5397194 . Therefore, one must consider that what was released – “Malaysia Airlines Flight 17 was likely struck by multiple high-energy objects from outside the aircraft” – constitutes classified information that is essentially being “leaked” to the public at a time when Europe is once again poised (or not) to impose economic sanctions against Russia. Further, the takedown by “multiple high-energy objects” is consistent with the podcast’s conclusion that one or two Ukrainian SU-25’s shot down MH17 with a missile and machine gun fire. However, true to form, the MSM has spun the takedown by “multiple high-energy objects” as being consistent with a takedown by rebels firing a BUK missile. The key to this spin is the following quote: “just three hours before the plane was shot down above rebel-held territory in eastern Ukraine, the Associated Press reported on the passage of a Buk M-1 missile system.” A Google search of this quote verbatim yields over 1,300 hits already. The actual AP report issued “just three hours before the plane was shot down,” however, has thus far eluded my Google searches. To the extent that the entire spin here relies on this AP report, I believe some confirmation that the AP did indeed issue such report three hours before the plane was shot down is warranted. If anyone can find that article, a posting of a link would be appreciated. I believe the MH17 report released this morning constitutes a term of the recent peace agreement forged by Putin and Poroshenko. I believe Putin had information/evidence directly implicating the Ukraine government in the shoot down which he traded for Poroshenko’s sign on to the peace agreement. This happened during a phone conversation between Putin and Poroshenko last week just before the Friday ceasefire. Interestingly, Putin called Poroshenko while flying over Siberia. He was also in the air on the phone during the actual shoot down. At that time, he was talking with Obama and Obama told him about the shoot down. I believe there is some significance to this…subliminal messages being sent by Putin to Obama. I now believe the shoot down was an assassination attempt on Putin that went wrong. Putin has evidence of that and is using it to blackmail Poroshenko/Obama into peace. Only evidence this powerful could have stopped the war in its tracks…that is why I am working backwards from the ceasefire to determine what kind of information could have led to this effect. I think the agreement is that if the ceasefire holds…the truth about MH17 will never come out…that’s the way realpolitik works. this is becoming quite a plot. first this high level cover-up by means of a non-disclosure agreement between states. then putin may go ahead and out of the blue they suddenly have an agreement between kiev and the eastern anti-fascist groups that seemed impossible only days ago. but then what? how do you keep the lid on this boiling pot full of overheated truth? of coarse, lots of money, ‘any little girl has her little price’, quoting my grandmother, though in dutch it sounds a lot punnier. so now all these thousands of civil servants, military personnel, traffic controllers and who else knowing the truth from their own classified working environment are tempted to cash their knowledge for 30 million dollar! secrecy guaranteed of course. you see it happening, the low level cover-up. this money is the lock on the lid. everyone reacting on this add will be dead very quickly and the money will stay in place as long as any classified document to protect the shame of the usa. of course one may argue: shut up ad, you stupid, as long as there is peace in ukraine, the truth does not matter. and there is some realism in that. unfortunately, everybody’s attention is with isis now, judging the quiet here in this thread. for over a week there have been two rather explosive posts saying putin is blackmailing the usa, but no reactions. so i openly ask you, the few who may still read this, do you believe truth is a value in itself or is there a notion of ‘responsible journalism’ or professional or even personal ethics, according to which every truth we say out in public should be weighed to its effect? some background. personally i think there is something horribly wrong in europe, particularly in the netherlands where i was born long ago. i have lived over 7000 kilometers away from my birth town of rotterdam for over 30 years, and i missed all the interesting tv. this may have turned me into some kind of a savage. anyhow, it is with utter disbelieve that i have followed dutch politics towards the mh17 question. things have changed in 30 years. how can they carve into their own economy like this, putting sanctions on russia, for something that is a complete hoax from the usa? even i know that! what kind of material do they use to blackmail dutch politicians into this subdued position? is politics so totally determined by blackmail and bribes these days? there is so much profit to gain for the politician who stands up and explains what is really happening. who confesses in public that he cheated on his wife 10 years ago and that the americans are trying to blackmail him into treason with this fact, or whatever they hold on him. rather than destroy his precious career, this would make him very popular, if only by preventing the next us mass murder. i dont even dare to think of the effect of such an example on the other ‘leaders’ of europe. just like the americans blame russia for the missile the self-defense forces allegedly fired, i blame the us for the 30mm bullets from kiev fighter planes. it is a bit harsh to say this, but we are in ‘good’ company. control your puppets, or stop cheating. and once recognized, this should have political consequences. i appreciate mr putin very much for his peace initiative, using us tools against themselves, but in a wider context i believe europeans should wake up and blurring the truth about mh17 is not going to help much, exept by its revelation. putin will still be known as someone after peace, not war, as the us constantly picture him. so much to clarify my interest in mh17. somewhere in the end of the seventies the gouvernment wanted to let the americans place their brand new neutron bombs on their dutch bases. over a million people demonstrated in the hague against this malicious idea, and the plans were dropped. something like that should happen right now, but in spite of much better means of horizontal communication, i hear only silence. a once proud nation turned into a sheep state, even their cherished trade interests are sacrificed for us imperialism. imagine, this is unique in dutch history. so, in short, i think no ethics may keep us from exclaiming the truth about mh17. peace in ukraine will come with peace in europe, not the other way around. your feedback would make me happy. A very interesting perspective! All the western governments appear to be taking actions that will hurt the individual countries economies as well as the interests of their citizens. This includes the US, a country that is broke, in debt and has overextended itself with hostile military actions. Here in the US we have been brainwashed from our infancy to believe whatever nonsense we are told. Something similar must have occurred in Europe despite their history of placing a high value on intellectual thought. What is becoming obvious is that governments are no longer sovereign and that the NWO is much further along than we have imagined it to be. Here are two more updates on the MH17 from my blog entry where I made the suppositions in my original post above. In my post, I say that I agree with Putin’s decision to put peace in Ukraine before vengeance for the MH17 attack. It pains me to go against my inclination towards truth whatever the cost but, in this geopolitical situation, you have two sides that are fighting to keep one another off base. Putin scored two points by taking the course that he took. He out-feinted the US and he gained more trust with the pro-Russian Ukrainians. UPDATE: September 12, 2014 here is a report from globalresearch.ca where a German jet pilot says the MH17 report “is not worth the paper it is written on”. The more that comes out about the ceasefire and recent communications between Putin and Poroshenko, the more I believe I am correct in my assessment that Putin sacrificed MH17 truth for the greater good of peace in the Ukraine. Particularly interesting is today’s announcement that Kiev has ‘delayed” implementation of its agreement with the EU. Putin must have Poroshenko on a VERY short leash indeed. Also, the Ukrainian Parliament is debating the forgiving of “war crimes” committed by military staff and “others”. Could the “others” be foreigners who were in the Air Traffic Control Tower and/or in the jets that shot down MH17? 2. The whereabouts of the ATC communications data. Russia was demanding that this crucial evidence be submitted by Kiev and made public. This would have revealed what was going on in the Tower at the time of the shoot down…who the “Kiev authorities and foreigners” were and who made the decisions. Now there is nothing on this. Putin was faced with a complicated moral dilemma. Should he pursue the truth about MH17 and give peace of mind (if nothing else) to the relatives of the victims? Or should he use the evidence about the shoot down as a tool/lever towards the better good….peace in the Ukraine. In my opinion, he made the right decision. Only time will tell. Putin is not able to control everything that Russia does. I was already aware of this fifth column but PCR really brings it home. It is disgusting beyond words how these globalist fascists have insinuated themselves into every country on earth. There is some logic to Putin selling out truth for a ceasefire, but I am not convinced. The terms of the ceasefire are quite nebulous. To the extent that any representative of the Ukrainian government moves their lips, the one thing that is certain is they are lying. To rely so heavily on such a fragile word of honor would be foolhardy – a description not often used to describe the Russian leader. The report put out today by the Russian Union of Engineers is persuasive as to the culpability of a Ukrainian jet, even suggesting a MIG-29. See http://vineyardsaker.blogspot.com One other report from a Romanian pilot has suggested the plane was a MIG-29 from Poland. There is simply too much evidence out there for Putin to keep it bottled up. By halting the march of the Kiev psychopaths, the exposure of MH17 as a brazen act of murder would better serve Russian interests than a fragile and nebulous ceasefire. Having said that Greencrow, I have total respect your idea. It does not seem to appear anywhere else. Surely you cannot believe this after 9/11. Having evidence and being able to prevent legal action/justice…are two totally different things…as we found out from 9/11. This is Wikipedia’s version of what happened to MH17…why this source can definitely not be trusted on anything. Not to diminish the importance and quality of the information here, but James you got me laughing at numerous points in here, “if airplanes have a birthday”. Heheh. From the article: “The non-disclosure agreement itself is classified! What the hell could be in the agreement which makes it a state secret in Australia, Ukraine, Belgium and the Netherlands?” Good question..